Chinese New Year is right around the corner and to celebrate the Year of the Pig, Oriental Teahouse and David’s are taking in special bookings on Friday 8 February that will treat lucky patrons with live lion dances, red coin pockets for each diner, street firecrackers and more to welcome the new lunar year. Witness the flamboyant performance of the Chinese dragon at 12.15pm at Oriental Teahouse, Little Collins Street, as firecrackers ignite the heart of the CBD in the ancient tradition of warding away evil spirits in its spectacular display. 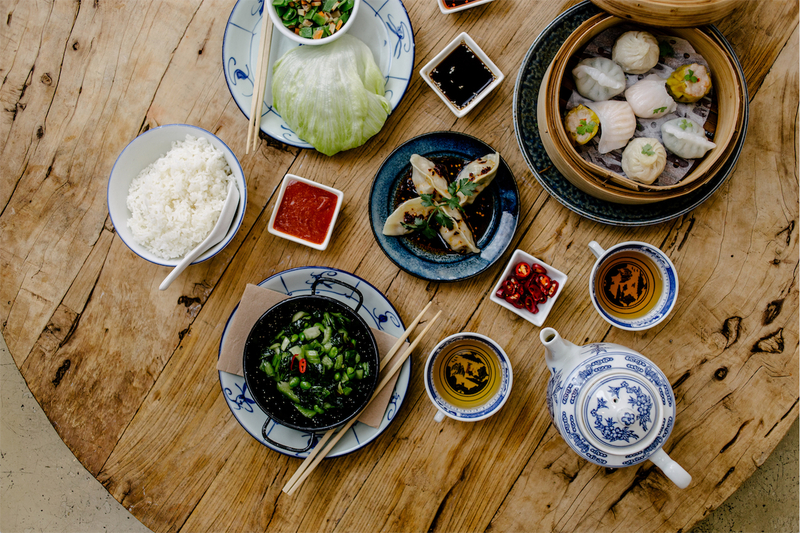 For those looking to stay for the lunchtime rush, the CBD teahouse will be offering their much-loved yum cha service from 11.30am onwards – no bookings necessary to get your fix of dumplings and dragons. Rooted in thousands of years of tradition, Chinese New Year is also the time to get together with family to catch-up over delicious food and swap stories. Red pockets filled with gold coins symbolise good fortune, with the idea that for every passing minute the dancing lion spends over you trying to pinch your pocket, the more luck you’ll draw for the new year. Other traditions like the hanging of lettuce leaves above the lions for them to reach will take place, in which the word ‘lettuce’ is very similar to the Chinese word for ‘fortune’. If a piece of lettuce reaches you once thrown from the mouth of the lion, this is deemed as one of the highest forms of fortune. Once fallen on the ground, the lettuce gets picked up by hand – never swept, as this is the same as sweeping away good fortune. Oriental Teahouse, South Yarra will be holding two dinner sittings – 6pm and 8pm with their a la carte menu available for order. Patrons who opt for the early bird sitting will get to revel in live lion dancing and firecrackers set for 6.30pm promising good fortune to diners as the dragon awakens. The tradition and feasting does not stop there; enjoy a family gathering at David’s who will also be hosting two evening sittings at the same time – 6pm and 8pm. Ring in the new year with a vast selection of tea-cooked cuisine, such as their aromatic Iron Buddha beef and other classics, including their sticky pork belly, peking duck pancakes and more. Tucked mysteriously off Chapel Street down Cecil Place, live lion dancing and firecrackers will bring David’s to life in between sittings at 7pm. Oriental Teahouse is a household name that provides a world-class teahouse experience that is authentically Chinese but with a modern twist. The space encompasses a day-to-night culinary experience that does not sacrifice the essence of a traditional Chinese teahouse. David’s is a contemporary Shanghainese restaurant inspired by Zhou’s hometown Zhouzhang, a water village in which his family’s recipes originated. Loved by locals for over 20 years, it’s no secret that David’s authentic menu showcases some of the finest dumplings in town while treating guests as an extension of Zhou’s own family.